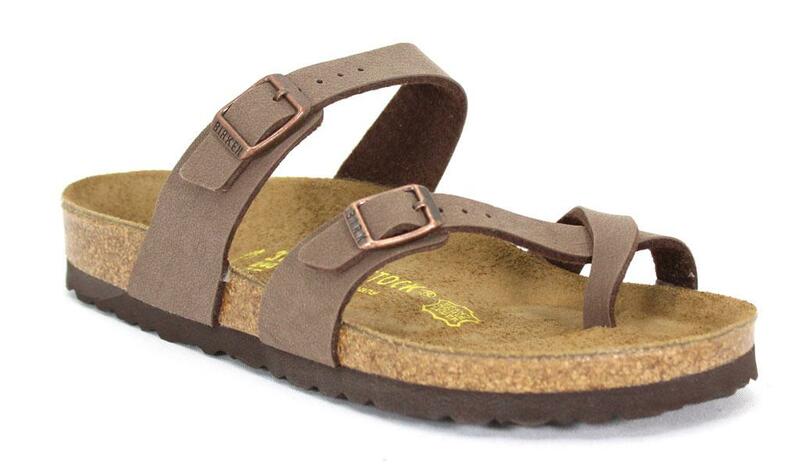 The Mayari is one of Birkenstock's most popular styles. This elegant silhouette features delicate straps and a fabric toe-loop for added comfort. The straps have buckles for an adjustable fit. Birkibuc is a synthetic material made of acrylic and polyamide felt fibers that is comfortable and tear-resistant. This material offers a textured finish that looks and feels like velvety nubuck. The straps are easy to wipe clean with mild soap and water.